Runners’ dream has always been tackling new distances and challenging themselves for the ultimate speed. However, the dream of the perfect runner can never be achieved unless you seriously decide to make a change concerning your routine. In this article, together we will unlock the key for a perfect and successful running with these simple and few tricks. One of the most important things we need to keep in mind about running is that a good alignment is a key for a good running. 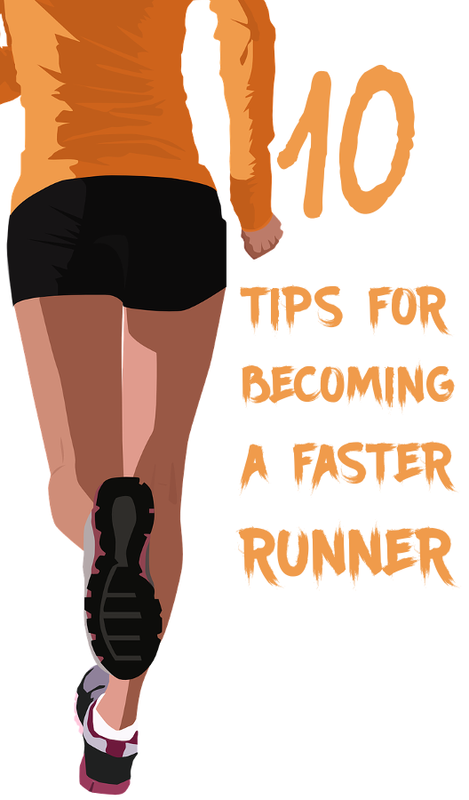 Here are some few relatively easy tips to follow for a better running. There is no doubt that your feet have a tremendous role to play while running but first you have to pay enough attention to your posture. Keep looking forward, toward the horizon, with your head aligned with your upper body. Bringing your head into alignment with your neck, shoulders and back would extremely make them relaxed unlike bringing your chin too far forward or all the way back. While running, make sure that your shoulders are in their best position; neither moving upward nor should they become high and tight. For a perfect balanced posture, keep your torso in the right position, almost straight with your arms slightly touching the rib cage, engaged in a moderate movement to minimize the rotation of the the torso and forming around 90 degree angle. The lower part of your body matters a lot if you want to be a fast runner. Make sure that your hips are properly aligned with your head, shoulders and back. Avoid lifting your knees up and high in order to expend less energy. Make sure that you softly land on your midfoot, else you would be landing on your heels and that would put much pressure on your hips causing hip problems or injuries on the long term. Spring your toes off the ground and take another step forward with your other leg. Running fast isn’t only running in a straight line with your highest speed. The challenge with many people is that they run too fast making their bodies uncomfortable. They would also feel serious burns in their lungs as well as racing heart beats. As a result, they find themselves totally unable to continue and eventually slow down to catch breaths. They would also feel defeated and become gradually discouraged to carry on running. What you have to do is to slowly increase the pace and take larger steps. Make sure that your body get used and comfortable with the new pace. This is a very key point to run faster and economically with less energy expenditure. The very first thing that does really matter when it comes to good breathing for a good fast running is the way you hold your body. In fact, many people have the problem of falling shoulders; their shoulders are rounding over, and what happens when you bring them over is that you are not allowing much oxygen to enter to your lungs and as a consequence this will not allow you to run for a long period. Hold a good posture, inhale and exhale deeply to provide your muscle with the maximum amount of oxygen. Stretches are very important to you as a runner. The purpose of stretching or warming up before running is to get a good circulation of blood and oxygen to the dynamic or working muscles and thus prepare the body for running. If you don’t want to lose your motivation, keep exploring new technologies, sounds and devices. There is actually countless of free and effective apps that will help you. Try to explore new possibilities to keep yourself motivated to run even when you don’t feel like it. Music is a key, download motivational songs or even listen to your favorite playlist while running. Challenge yourself and tell your body that “I CAN”. For example, when you feel tired say “I’ll take a breath at the end of the song or let’s take a break at the next song”. Convince yourself that you really can and that’s okay it is not too and remember it is always worth it. Involve some workouts as an essential part of your daily routine if you really want to strengthen your muscles, reduce any risk of injuries and improve your fitness level. Start your program by a scheduled training plan designed by you and beginning with three workouts. Do not overwhelm yourself, give 30 seconds for each workout, take a recovery time and then repeat all over again for one last time. Do them twice per week at least and gradually intense your strength- training. Weight is the very way that will extremely change the way you run. Many researches assume that the leaner the muscles are the strongest they become and the fastest you’ll ne able to run. Lifting your weight can actually help you to save time, around two seconds per mile for every lost pound. When your goal is your overall fitness and well-being, select the wise and the perfect option that mesh with your plan. Veggies are a necessity in every single runner’s diet. They are full of tremendously important nutrients such as fiber and protein, rich in vitamins and minerals and low in calories. This would definitely help you to build strong muscles and to satisfy your body’s nutritional requirements. Veggies are also loaded with high quantity and quality of antioxidant to reinforce your immunity and strengthen your body. Besides, drink plenty of water and ea as well as coffee to provide yourself with an extra boost of speed. It is very important to stick to veggies and fruits as a healthy routine. However, many people wonder how and when should they eat? Should they take heavy meals or just a snack or should they eat nothing at all? Actually not eating not eating before running especially for people who prefer running in the morning, is not recommended at all because this would make you feel empty, tired and unable to run for a long time. Try to drink a large glass of water with fruits such as 1 banana and 1 apple, 30 minutes before running. This will energize your body, satisfy your stomach and make you feel full. Avoid large meals; they would make you feel sick and heavy.